Chamber music at the highest level, witty arrangements and concerts with a twinkle in the eye – this combination is characteristic of Clarinet News. The CD »Opernboogie« is a cross section through almost 200 years of music history and allows listeners to experience the extraordinary sound spectrum of the clarinet sextet. The piece »Die Swing-Hummel« lets the CD album begin rapidly. It is an arrangement of the »Flight of the bumblebee« from Nikolai Rimski-Korsakov's opera »The Tale of Tsar Saltan«. Of course works from Wolfgang Amadeus Mozart are also on the CD. There are five pieces from the operas »Don Giovianni« and »Le nozze di figaro«, for example the aria of Cherubino »Voi che sapete«. Clarinet News continues the journey into the 19th century with Felix Mendelssohn Bartholdy's »Dance of the elves«, »Wedding march« and »Scherzo« from »A midsummer night's dream« and with the »Carmen suite« from Georges Bizet. 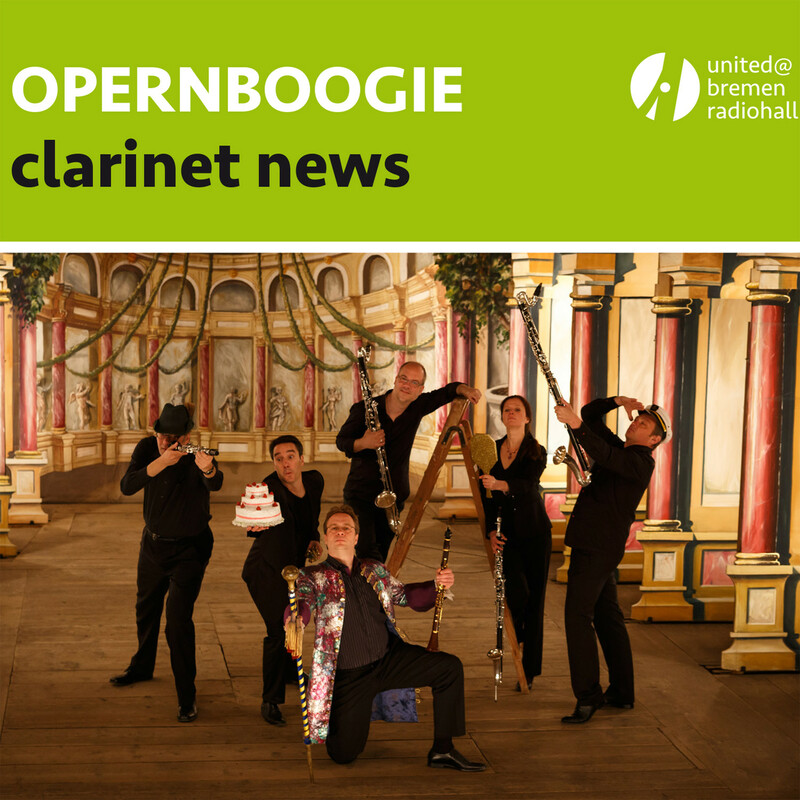 Clarinet News goes on to the 20th century with »The ballad of Mack the Knife« from »Die Dreigroschenoper« by Kurt Weill and Georg Kreisler's »Opernboogie«. The genre musical is represented by music from Andrew Lloyd Webber in the piece »Katzenjammer, Mietz, Phantomschmerz« and Leonard Bernstein's »America« from »West Side Story«. The music of the »James Bond theme«, which everyone knows from the cinema, originates in fact from the musical »A house for Mr. Biswas« from Monty Norman. The CD ends with »To beer« from Bedřich Smetana's comic opera »The bartered bride«. Six excellent instrumentalists are part of Clarinet News: Marco Thomas, Jan Doormann, Sebastian Gette, Jaan Bossier, Regine Müller and Thomas Richter. They have played in renowned orchestras like Concertgebouworkest Amsterdam, Gewandhausorchester Leipzig, Staatskapelle Dresden, Mahler Chamber Orchestra, Die Deutsche Kammerphilharmonie Bremen, Chamber Orchestra of Europe, Luzern Festival Orchestra and the Berlin Philharmonics. 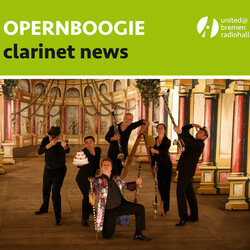 »Opernboogie« is the third CD of Clarinet News. It was recorded and produced at the Sendesaal Bremen, which the ensemble calls its »living room« in a musical sense.